The Steampunk art genre has become very popular with a niche market. 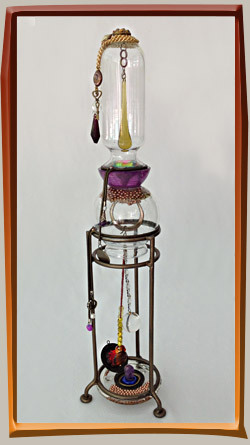 I spent several months collecting junk and really enjoyed creating found object, assemblage towers and decorative home decor in this style. Many steampunk artists build machines out of metal that harken back to pre-Industrial Revolution times, my work is more decorataive but captures the feeling of the Victorian era, I was also very much influenced by the book 20,000 Leagues Under the Sea by H.G. Wells, which is thought to be one of the foundational inspirations for the movement. 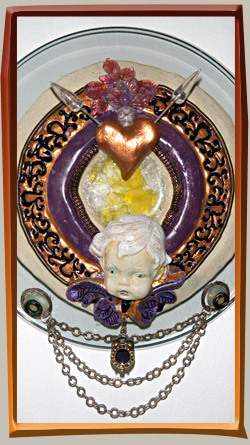 Glass and ceramic wall-hanging with cupid or cherubim head, decorated in steampunk style with heart and beads. 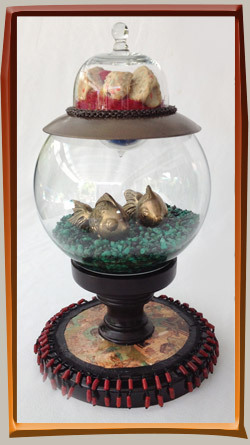 Pair of bronze fish sit in fishbowl with decoupaged base and sushi serving on top. Steampunk, nautical style. 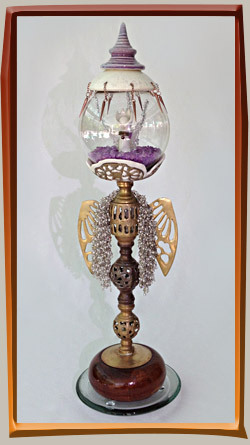 This assemblage tower has a Victorian Steampunk feel with glass, wire and crystal elements. The crystal ball inside the glass bowl reflects light around it. 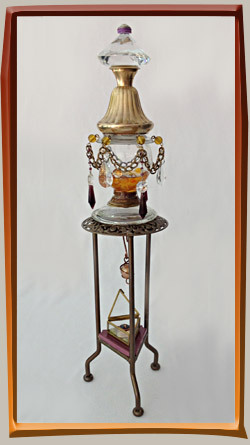 Victorian steampunk tower sculpture includes chandelier parts, mysterious box and resin-filled globe. 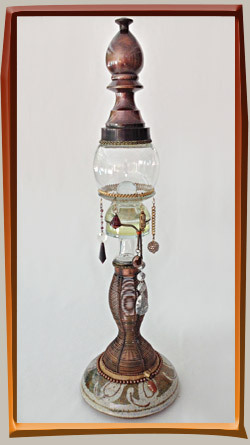 Ornate Steampunk sculpture is found object tower with custom handmade ceramic parts including queen bee.